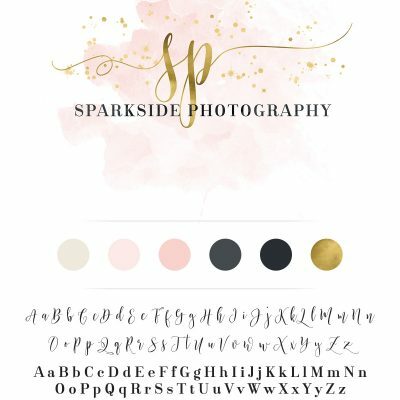 Amber Reavley is the spark of creative energy in Sparkside Photography, based in Waterloo, Ontario, Canada! Am has always been into photography, focusing on family and friends at first. Over the years, she enjoyed their compliments of her work, yet didn’t really consider making it into a business. But her talent wasn’t to be denied. You know when it keeps nudging you and popping up in your thoughts all the time, you must take action. 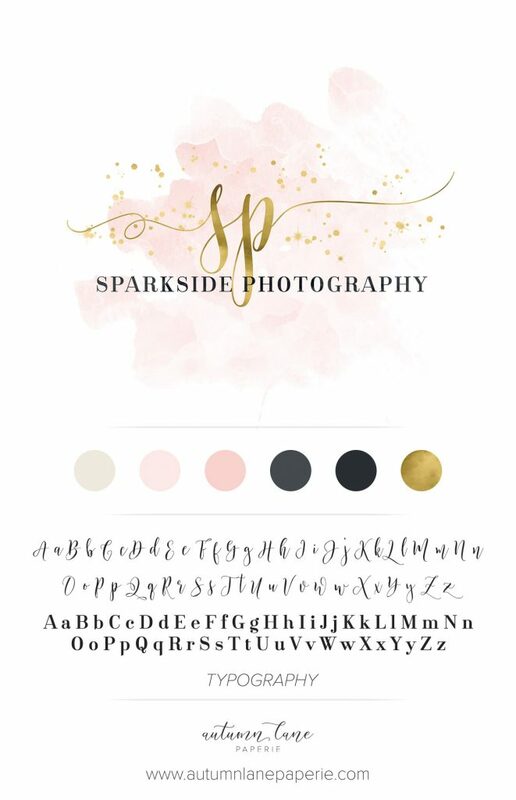 The most worrisome step was setting up the Sparkside Photography page on Instagram. Amber feels that, for many people, the biggest obstacle – and potentially the greatest success – is just to put yourself out there. Not only with clients who were at first total strangers, but also on social media. When you’re a private person, it’s hard to market yourself! Thankfully for Am, her love for photography took over and enabled the breakthrough. Once Amber’s Instagram page was up and running, the logical progression was to develop her unique brand, starting with her main photography logo. We all had a fantastic time with it! For now, Amber prefers to keep her full time tech industry position. It’s a great job, and she loves it. Photography has become her creative therapy, bringing an equilibrium that makes her feel content and settled in all aspects of life. As a mom, a wife, an employee, and an entrepreneur, she likes to work hard at everything she does. Rather than make too many future plans, Amber likes to mostly just work hard and see where the universe leads her. But she enjoys the opportunity to carry on with photography and continue the adventure. Are you dreaming of your own career, whether in photography or something else? Amber has some tips! Have the courage to put yourself out there to make your dreams come true – no guts, no glory! Be kind and helpful to others – beauty on the inside shines through, people love that and are drawn to it. Set up an on-location photo session with Sparkside Photography in the Waterloo area. Professional portraits make wonderful gifts! To get in touch, send Amber an email or contact her through her Instagram page. There may come a day when Sparkside Photography becomes Amber’s full time business, but not yet. So far there’s no monetary pressure when it comes to photography. Zero stress, and all joy! Free from financial worries, Amber photographs just about everything and revels in learning, each and every day. Get started on your own adventure! For more info about our branding services, or help with a photography website, just reach out! It’s been said that every cloud has a silver lining, you have to crack the oyster to find the pearl, there’s beauty in ashes. Cliches of course, every one. But Angie Sinclair’s new venture — Shell 2 Shine, in Winnipeg, Manitoba, Canada — is anything but passe. Angie is driven by personal experience to help other women overcome the anguish of divorce. Being through divorce myself and having little to no support, I feel there is a missing service for women. Bringing a compassion and understanding to women that feel isolated and broken is my passion – to help them realize the pain, not sweep it away, then apply a holistic way to move through and above the pain to “shine” as they were designed. That is where the “Shell 2 Shine” was created – taking broken women from the “shell” of a person they became and lifting/empowering them to “shine”! Exciting right?! Angie’s full time job is in Accounting and Collections. In her not-so-spare time, she became a DoTerra Wellness Advocate. Angie’s holistic side led her to study Reiki as well, and she now offers Reiki sessions to clients in Winnipeg. Now, she’s launching Shell 2 Shine to pull everything together. Busy lady! Along with this, she facilitates monthly forums for women in the throes of divorce. Those who are contemplating divorce, currently going through divorce or who have experienced the trauma and effects of divorce but are still not fully healed. In Winnipeg, experience the soothing power of Reiki in your own home, at Angie’s home or in a local Spa where she’s contracted services. Outside the Winnipeg area, Shell 2 Shine offers Lifestyle Wellness Consulting and also Divorce Recovery Consulting via web calls and online support. The consultations are customized to each client. Angie’s opinion is that everyone’s situation is unique, and her approach is tailored with that in mind. Angie’s Shell 2 Shine branding came from a deep self-reflection. First came her Instagram page. Then it was time to move ahead. She admits she actually fought it for weeks – in reality, she had been fighting it for years. It was way out of her comfort zone to have to finalize her own demons from divorce and loss. When she embraced that her purpose was and is to help others through their pain and help to heal them, she was greatly relieved! When Angie contacted us, the design team went to work for her. Angie was impressed that the physical branding went so smoothly. Using her written communications and ideas, the Autumn Lane team created a design that Angie found nearly perfect. With a few changes, her new logo and branding now fits her passion exactly. Each of us has a personal gift. 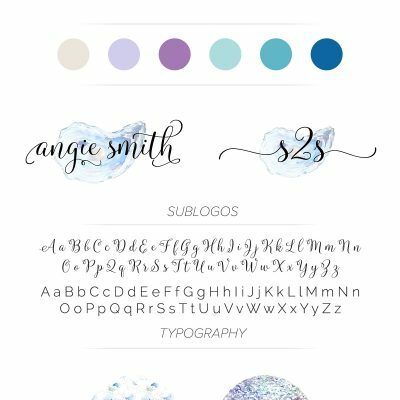 Angie’s new, professionally designed graphics will enhance her abilities and launch her dream to the world. In perspective, the branding is much like her business name of “Shell 2 Shine”. We took the shell idea and escalated it to “SHINE”, and according to Angie, we captured the concept perfectly. See what you think! Angie’s biggest obstacle has been doubt of her own talent and skill. But her image consultant + brand mentor – Shana Robinson from ReBrand You — has kept her on track, facing her fears, encouraging her, and pushing her just enough outside of her comfort zone. Another obstacle has been time. With working full time, adding a business venture can seem a wee bit daunting and overwhelming. Angie’s calendar has been the key to keeping the overwhelm to a minimum. It still happens – but she’s more aware and now uses it as her cue to get back to time management skills. Angie tends to look at opportunities as blessings and see positive in (almost) everything. She believes in things happening for a reason and for everything that happens, there is a purpose. So far in her Shell 2 Shine career, the greatest success would be considered landing a space in a local Winnipeg spa. People view success in different ways. Angie is thankful for the ability to learn and be flexible. Do not give up – EVER. If you wake up every day and your dream is passionate to you, find a way to make it happen. There will be days where you question yourself. Don’t quit – go back to why you were drawn to your dream. Then find an outside strategist like a business coach to keep you focused. Every new venture needs professional custom design and responsive branding! Launching a business? Rebranding? Contact us at Autumn Lane for a consultation!